As the Muslims of Pakistan brace themselves for the next mini-budget on 23 January 2019, it is clear that the current economic system is the cause of ever worsening economic hardship faced by the masses. 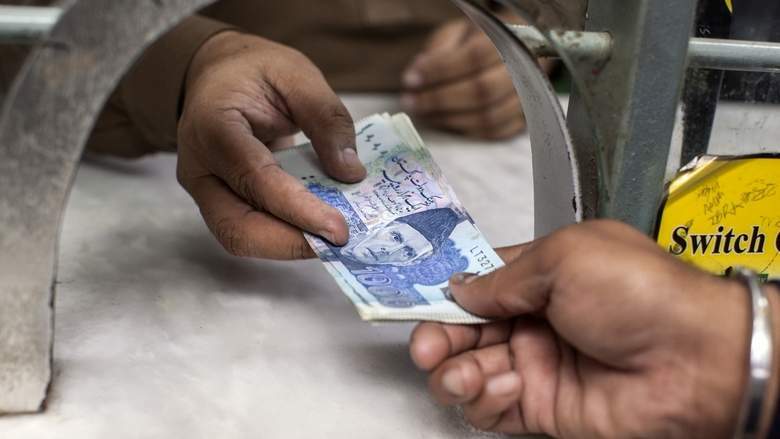 Under the current system, Pakistan’s currency is crippled by the dollar peg, which has been imposed by Western colonialists as the basis for international trade, with the IMF as just one of its ruthless guardians. To maintain the dollar hegemony, the colonialists demand the removal of subsidies and increasing of taxes so Pakistan can buy more dollars, as well as weakening the rupee before the dollar to maintain dollar supremacy, even though the plunging rupee has caused back breaking inflation of recent weeks. As for interest based loans, it is a bottomless pit into which much of Pakistan’s considerable wealth is thrown, merely for the benefit of the ever hungry, interest-based banking monster that the colonialists created and then spread throughout the world. According to the State Bank of Pakistan’s Debt Profile for the country, Pakistan was bled of two trillion rupees in debt servicing in FY2018, of which more than 1.5 trillion rupees was interest on loans on domestic and foreign debt. Nothing less than the comprehensive implementation of Islam will ever rescue Pakistan from economic misery, which is all set to worsen in the coming weeks under the current system. Islam rejects fiat currency tied to the dollar peg, radically ending the need to maintain dollar reserves and weaken the local currency before the dollar. RasulAllah ﷺ mandated gold and silver as the currency of the Islamic State established in Madinah. The Khilafah (Caliphate) on the Method of Prophethood alone will bring stability and strength to the state’s currency, as gold and silver carry their own intrinsic value and are universally accepted for international trade. As for the interest based loan trap, Allah (swt) said, وَأَحَلَّ اللَّهُ الْبَيْعَ وَحَرَّمَ الرِّبَا “And Allah has permitted trade and has forbidden interest.” [Surah Baqarah 2:275]. So the Khilafah alone will break the begging bowl of loans on interest, allowing huge funds to be available for investment in agriculture and industry and supporting the needy.